After graduating Law School, Michael spent a year clerkship with the Honorable Peter F. Bariso, A.J.S.C. in Hudson County, New Jersey. After the clerkship, Michael was immediately offered a job and took an associate position with a Insurance Defense Firm, Chasan, Leyner & Lamparello, P.C. After 4 years, Michael decided that he wanted to help those who may need it, and did not want to limit his practice so he moved on to a smaller Plaintiff's firm, Aromando, Light & Croft, LLC. where he was given the opportunity to obtain my his own business. 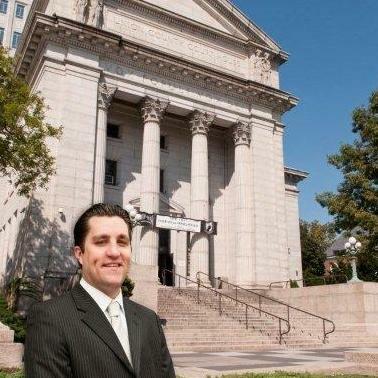 As a result, in 2012, Michael left and started the Law Offices of Michael J. Cuellar, LLC. and… read more has been litigating cases for his own firm. Michael Cuellar does not have any reviews yet. Law Offices of Michael J. Cuellar, LLC. With the business and contacts I was able to secure at the previous job, I decided it was best to attempt to start my own firm focusing on Plaintiff and Commercial Litigation, PIP Arbitrations, Municipal/Criminal Law and Debt Collection. I have been on my own for over 4 years. Aromando, Light & Croft, LLC. Worked at a small Plaintiff litigation firm, where I was able to bring in my own clients and build a business. Represented the injured and other Plaintiffs in litigation, and represented medical providers against insurance companies to collect PIP money owed to them by the insurance. Chasan, Leyner & Lamparello, P.C. I worked as an associate at the biggest Insurance Defense Firm in Hudson County, NJ. I represented auto insurance companies and their insureds as a result of at fault personal injuries to Plaintiffs. Also worked in the Personal Injury Protection (PIP) Department, and the NJ Arbitration System representing carriers against medical providers.